At PAX East, Blizzard announced the first adventure for Hearthstone, set in the undead necropolis of Naxxramas. To learn more about what players can expect from adventure mode and find out what awaits them inside the lair of the arch lich Kel'Thuzad, we sat down with lead designer Eric Dodds and production director Jason Chayes. Q: Could you provide us with a quick overview of the Curse of Naxxramas, which you revealed at PAX East over the weekend? Eric Dodds: The Curse of Naxxramas is a series of singleplayer bosses that is set within Naxxramas, which is a classic raid dungeon from World of Warcraft. You're going to battle against a series of these bosses, and if you're able to defeat each boss, you'll get a specific card for defeating them. You can then use that card in your singleplayer deck, your multiplayer deck, really however you want. 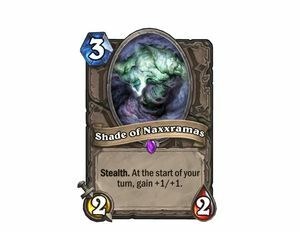 Naxxramas will be opened over a series of weeks. The very first week it becomes available, you'll be able to play the first wing - or quarter - for free, and do battle with the bosses therein. We'll open up an additional wing each week after that. 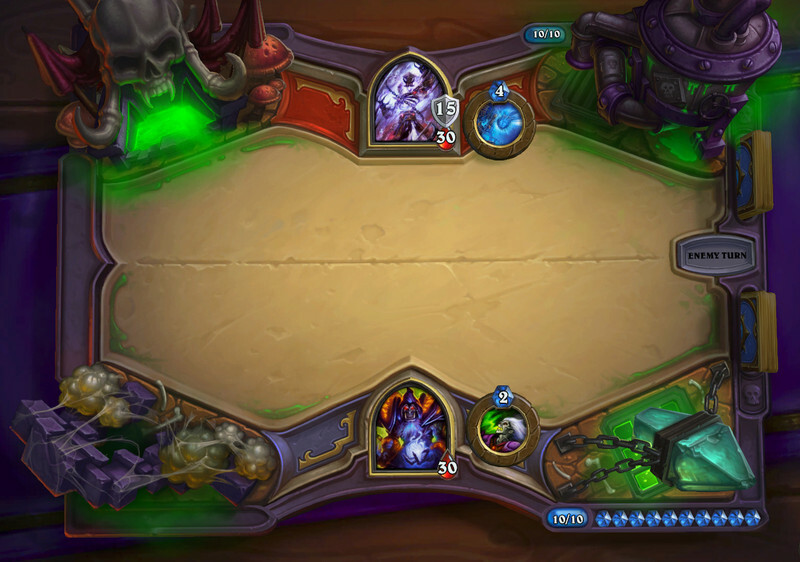 Q: So the Curse of Naxxramas will be released over five consecutive weeks? Jason Chayes: It'll probably end up being four weeks. Day one the first quarter will come out, then week two [we'll release] quarter two, [then the week after] quarter three, [and the week after that] quarter four and the final experience at the very end. Q: Why did you choose Naxxramas? Were other Warcraft raids in contention? Dodds: There were actually a couple of great reasons. One of them was that Naxxramas is a raid dungeon that an awful lot of Warcraft players have experienced because it was available not only in the original game, but it got re-released in Wrath of the Lich King - you could find it in Northrend. So a whole lot of people have seen this content, but another reason was for mechanics. What we wanted to do was play with a card mechanic that players have already seen, but that we could explore in a new way. We like the Deathrattle mechanic. Deathrattle just made tons of sense tying into Naxxramas, because Naxxramas is all about the lich Kel'Thuzad and the undead. So it was a perfect fit on mechanics, and lore and how many people [were familiar with] that content. Q: Can you go into more detail on how you've explored the Deathrattle mechanic with these new cards? 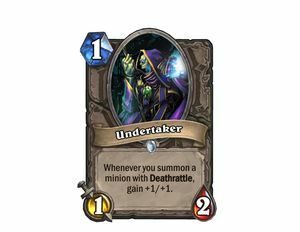 Dodds: One of the reasons we wanted to play with Deathrattle is because we really liked the mechanic of something happening when a creature leaves play. It's a lot more interactive and your opponent gets to interact with it in more interesting ways, [compared to] Battlecry where the person summoning it has all the control. So there are a lot more interesting things that can happen. It's also because in many ways we didn't do as many interesting things with Deathrattle as I think we'd like [to have done]. 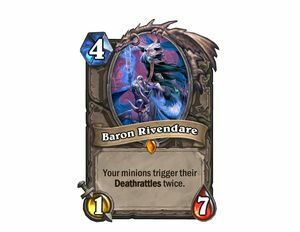 One of the interesting things we did with it — one of the cards we've already revealed is Baron Rivendare. While he's in play, all your other Deathrattle effects trigger twice. 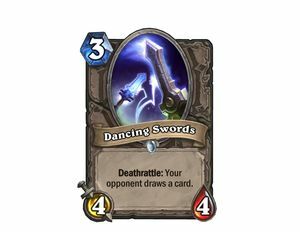 It really makes you think in a very different way about some of your other Deathrattle cards, and it revalues what Deathrattle means. It's a pretty exciting space to be playing in. Q: Thinking about Adventure Mode generally, and Naxxramas in particular, were you thinking about replayability at all? Is this content that you can revisit, and is it designed to be revisited? Dodds: This is content that you can certainly play again, but it's not really intended to be a large, singleplayer experience, it's more intended to change up the way you play the game. We anticipate players playing Naxxramas, earning their cards, and then play multiplayer or some Arena, just shifting back and forth. I don't think it's content that players are going to be playing over a long period of time. It's just a way of mixing up your experience, and at the same time having a cool way of earning these new, different cards. Q: How often do you anticipate you'll be releasing this kind of adventure mode content? Chayes: That's going to depend on the response we're getting back from the community after Naxxramas comes out. 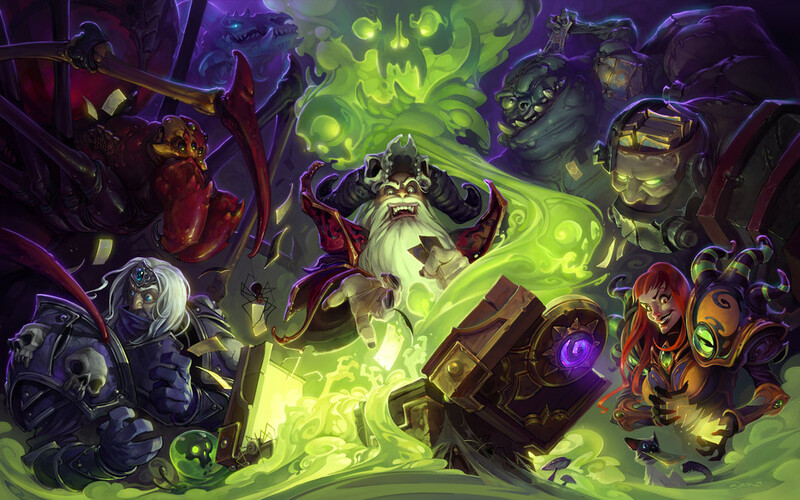 We think adventures are going to be really fun and we're really excited for Naxxramas. We have a lot of ideas, and a lot of things we'd like to explore in the future, so we're obviously going to be paying a lot of attention to the feedback. Our goal here is to be releasing relatively frequent updates to Hearthstone in general, whether it's a content update like Naxxramas, or... we're talking about doing more full-on expansions - that's something we're also considering - as well as incremental feature updates through our normal patch release schedule. So Adventures is just one of the things you'll be seeing coming out from the team. Q: Obviously you guys can turn out content much faster than the Warcraft MMO team can. Do you foresee yourselves outpacing that team's production capabilities, and would you consider designing your own unique content for Hearthstone in the future? Chayes: We definitely want to do our own unique content for Hearthstone. We haven't really got too far with that yet, but for example, Gul'dan is a hero that you can play in Hearthstone who exists outside of the World of Warcraft timeframe. 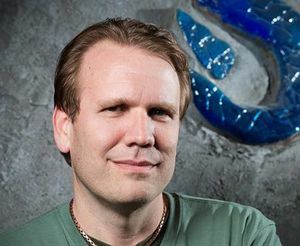 He's been in the Warcraft [intellectual property] for a while, but he predates the MMO. So I can definitely see us having new ways in which we're tapping into the Warcraft universe through Hearthstone that you haven't seen before. In terms of the frequency of patches, it's definitely a goal for us to be releasing them very quickly. We've gotten that feedback from players who think it's awesome and are excited about it, and would love to see new content coming out. What we're trying to do is balance how we release new content and new cards for players who are ready for new things to keep the environment fresh and dynamic, but at the same time recognise that we have a lot of new players who are coming into the game for the first time. With the launch of the iPad edition of Hearthstone globally today, we had to assume that there would be a lot of people seeing the game for the first time and we don't want to necessarily throw a bunch of new cards at those players too quickly. So the tension we're working through is how to keep the environment fresh and dynamic without overwhelming our new players, and that's something we'll be paying close attention to with Naxxramas, to see if that has reached a pretty good cadence. Q: Introducing 30 new cards almost all at once throws up a lot of questions about balance. How are you monitoring that, and what measures have you taken to ensure the game remains on an even keel? Dodds: First off, we now have an internal balance team that has played a lot with the Naxxramas cards. That's something new compared to where we were before, and we're looking at these cards very, very carefully before we get out there. We're also paying a lot of attention to what's happening in the environment currently, so we're paying attention to the community as a whole, and the high level streamers, and looking at all the data to see what cards and what decks are powerful at the moment. 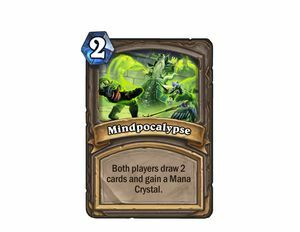 As an aside I can tell you right now there's a lot of diversity in those high level decks which is great, and we'll be paying a lot of attention to that after Naxxramas comes out and we're going to be seeing what happens from there. I like to believe it'll all be balanced and everything will be great, and that's probably what'll be happening, but if it's not we'll play it by ear. We're certainly paying a lot of attention to all the factors that contribute to a balanced environment. Q: Going back to Naxxramas itself - the raid and now the adventure - were there bosses that were easier or more difficult to translate from MMO encounter to Hearthstone opponent? 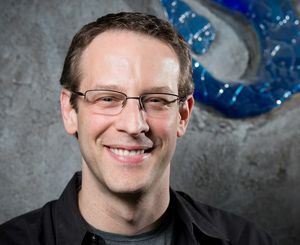 Dodds: It certainly has been a challenge to take some of the effects of the raid bosses and translate them into the mechanics of Hearthstone. What we've really focused on is taking the core theme of that boss and think what that might be like in Hearthstone. For instance, Heigan the Unclean is one of the bosses in Naxxramas and from the old days of Warcraft he was one of the bosses making you move and paying attention to where you are and paying attention to direction. 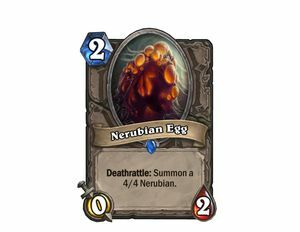 How that translates into the Naxxramas of Hearthstone is him having a hero power that deals two damage to your minion on the left-hand side. So it's always paying attention to where things are and moving. It's keeping the heart of what made that interesting while making the mechanics slightly different because of course the mechanics of Hearthstone are pretty different to World of Warcraft.